Blocks/Spindles will not fit into an envelope so there will be a $5.85 surcharge to cover the cost of a flat rate box. These blocks/spindles will not fit into an envelope so there will be a $5.85 surcharge to cover a flat rate box. Click on image for larger view and more information about wood. This spindle will not fit into an envelope so there will be a $5.85 surcharge to cover flat rate box. 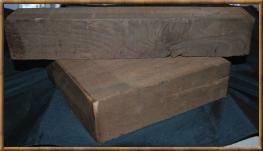 Click on image for larger view and more information about the wood. 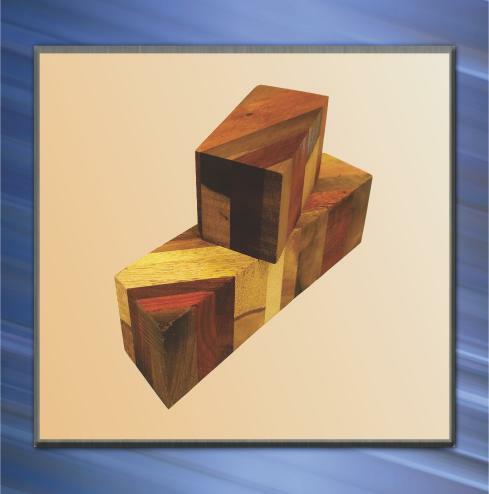 These awesome blanks are made from laminated layers of exotic woods and cut on an angle. They are 1.5 inches square by 6 and 3 inches long. Choose your length from the drop down. 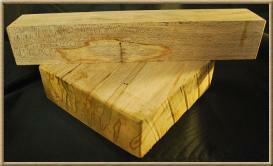 Species of wood vary from blank to blank. Bottle Stopper Blanks are on Special for $5.25 and Call Blanks are $11.25. Spindle blanks will not fit into an envelope so there will be a $6.45 surcharge to cover the cost of a flat rate box. If we can ship it for less we will as always refund the difference back to you. Click on image for a larger view and more information about these blanks. Please select your desired size from the drop down menu below. Click on image for larger view and more information about these blanks. Please select your size desired from the drop down below.